Heat Wave DLC: Equips the three original playable characters with fireproof suits and teaches them the ability to craft incendiary ammo. Kovac’s way DLC: Introduces an additional difficulty level to the game with new and demanding gameplay conditions. Hello, My name is Nina DLC: Presents an additional character with the ability to craft flamethrowers and advanced chainsaws. “El Diablo” Islands DLC: Players will discover new islands, meet new characters and face unpredictable threats. One Shot Escape DLC: Allows players to roam the islands on a highly randomized scenario trying to find and repair an escape vehicle. Barricade! DLC: Introduces a new game mode where players will try to protect survivors as long as they can, setting traps and barricades. How to Survive: Storm Warning Edition is available to download now for STEAM and Xbox Live® online entertainment network from Microsoft as a game for Xbox One® for $19.99. PS4 via PlayStation®Network will be available on November 4, 2014. Dead… Again. – 15gs – Achieve your first instant kill on a zombie. Close killer – 30gs – Perform 100 instant kills. This will be your first achievement. When you are attacking a zombie after a few hits a “A to Kill” will be displayed. When you press “A” your character will do a finishing move and kill the zombie. Then do it 100 more times. This gets harder with better weapons as you’ll start to just instant kill zombies without the opportunity to get a kill option. These are cumulative. Just keep killing. You unlock the ability to earn skills right after meeting Ramon for the first time on the first island. Use B to bring up menu and RT over to skills and unlock Caveman, which gives you the abilities to fire camps and torches. You’ll unlock the achievement and complete your objective. Kovac will take you there after you get the Gas for Ramon. After getting the Engine Starter from Andrew use it on the boat to repair it allowing you to go to La Sonada. Wait your turn – 30gs – Perform 5 instant kills in less than 15 seconds. Head for a group of obviously 5 zombies and hit them and perform instant kills quickly. Best bets are safe zones since you need to clear out all the zombies and you will get flooded with zombies. Four-handed massacre – 15gs – Complete a local or online challenge with another player. Herbalist – 15gs – Find the 20 special plants of the Herbarium. #2 – La Vendida Island – Leaving the base to the right while learning Resting head straight up and Machete some bushes to find the plant. 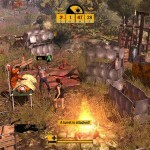 Easy survival – 45gs – Complete the story mode in “Normal” difficulty. Unbreakable – 60gs – Complete the story mode in “Iron man” difficulty. Perfect run – 30gs – Complete a challenge with a “S” ranking. Picky monkeys – 30gs – Complete the 12 secondary quests of Kovac’s monkeys. Pharmacofobia – 15gs – Complete a challenge in “Normal” difficulty without using medicinal plants nor medikits. Winners don’t use drugs – 30gs – Complete a challenge in “Iron man” difficulty without using medicinal plants nor medikits. The weasel – 30gs – Complete a challenge in “Normal” difficulty without losing health. Untouchable – 45gs – Complete a challenge in “Iron man” difficulty without losing health. Speed killing – 30gs – Kill 10 zombies in less than 5 seconds. Express cleaner – 45gs – Kill 20 zombies in less than 5 seconds. Collateral damage – 45gs – Get zombies deer to kill 20 Zombies. Cheap kill – 15gs – Kill 5 monsters in a row with a bullet or an arrow. High voltage – 15gs – Kill 500 monsters with electricity. Bolts’ master – 15gs – Recharge your electric weapon without using an electric pylon. Monkeys on your back – 30gs – Complete all the monkeys’ quests of El Diablo islands.